This challenge was to design a piece that incorporated 'direction'. Literally or creatively, it was up to the individual. I decided to to try and keep it simple so that any level of crafter would feel comfortable trying to create their own inspiration. I made an inspirational note card - size: 4.25" x 5.5"
I began by cutting a piece of black cardstock to 8.5" x 5.5". 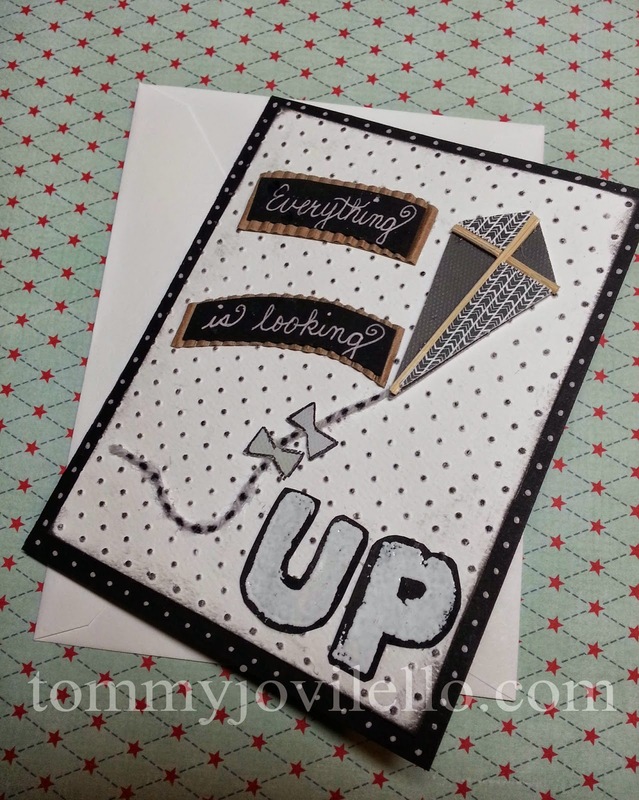 I scored it down the center and set it aside until I made front of the card. 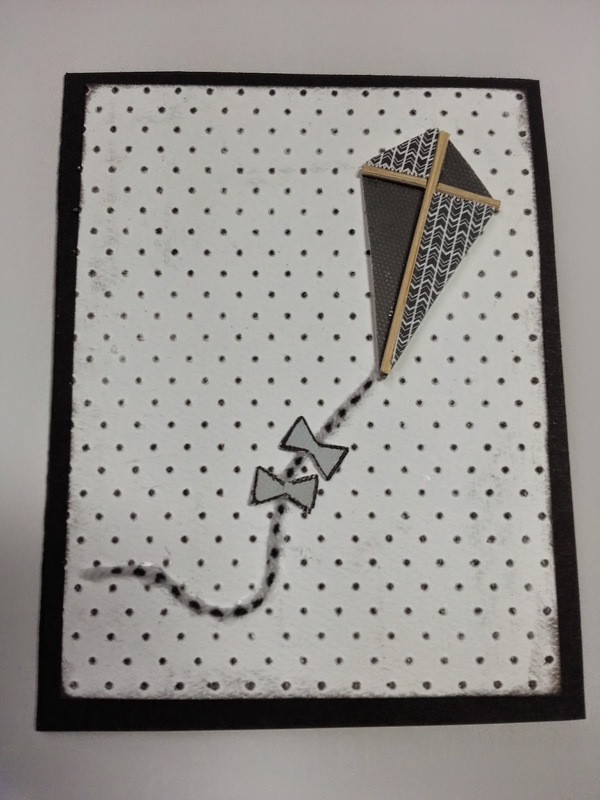 Then, I cut a piece of white card stock to 3.75" x 5" and embossed it with my BRAND NEW Cuttlebug and the swiss polka dot embossing folder to use as the front of the card. I lightly inked over the dots and distressed the edges with graphite black ink. 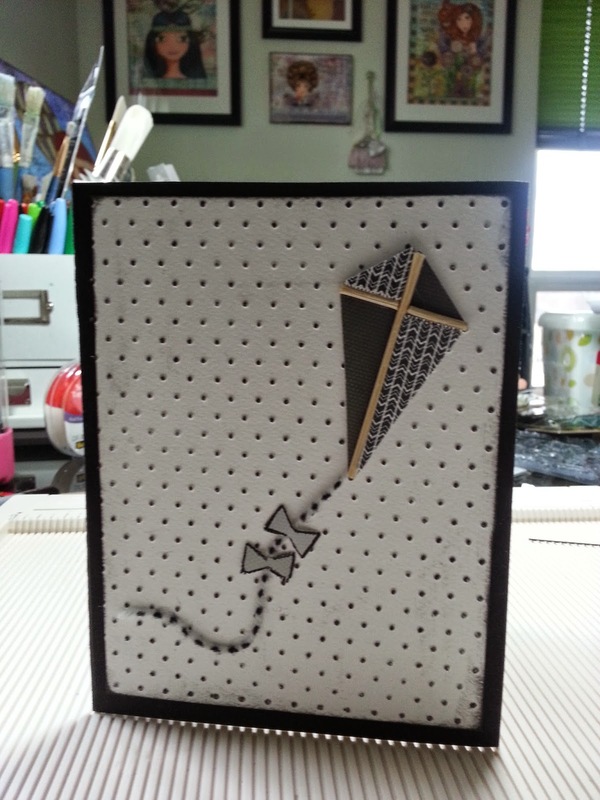 I attached the white card stock to the black card base front with my ATG (adhesive tape gun). 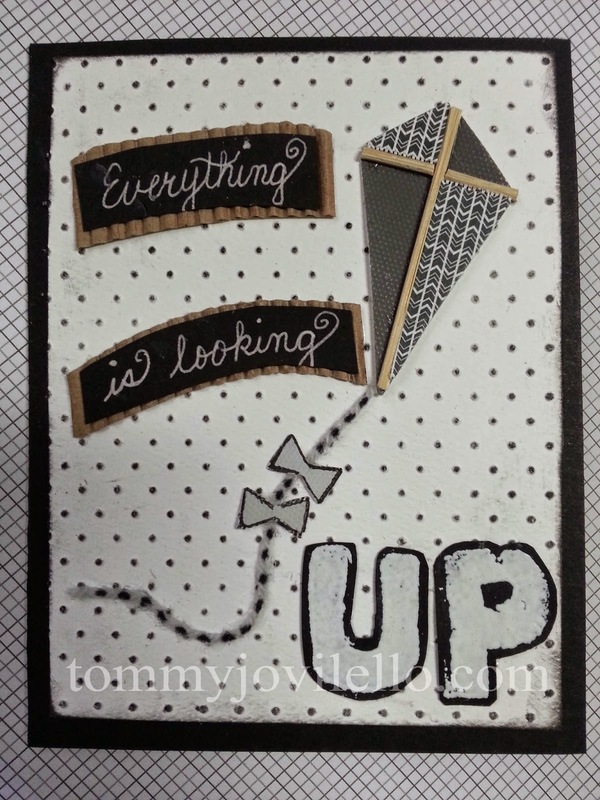 Using a scrap piece of black card stock, I used clear letter stamps (U and P), Versamark ink and White embossing powder to create the word 'UP". I cut them out individually leaving a little of the black card stock as a border. You know the corrugated cup holders they put around your hot coffee at starbucks? 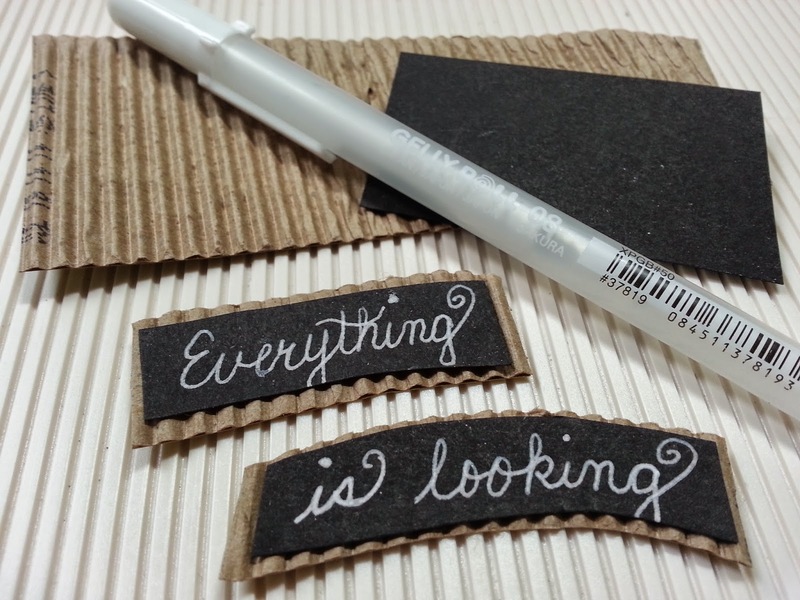 Well, I save those :) I took one apart and cut 2 pieces as background trim for my lettering pieces. More scrap black card stock was cut just a little smaller then the corrugated pieces and I glued the black to the kraft back pieces. 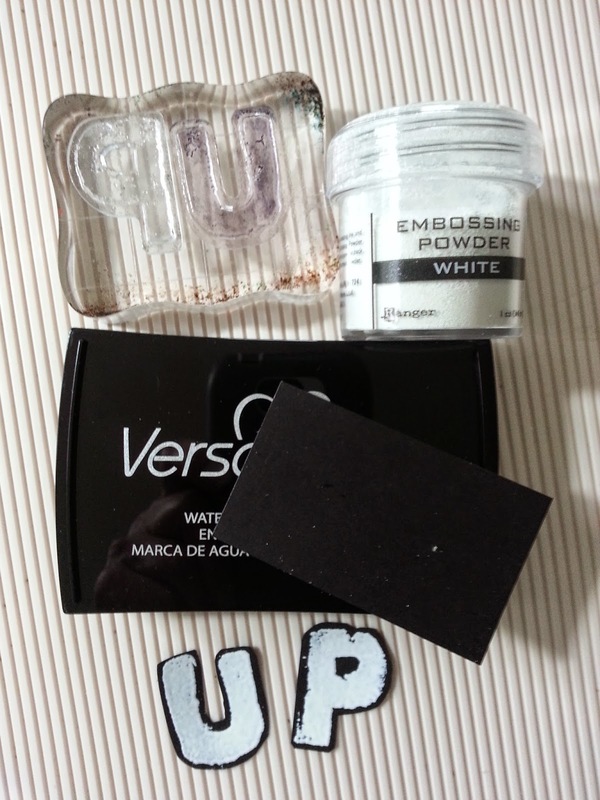 I wrote on them using my Sakuro white gel pen. Looking at the card for placement of the individual pieces FOR A LONG TIME, I finally decided how I wanted to put it all together. 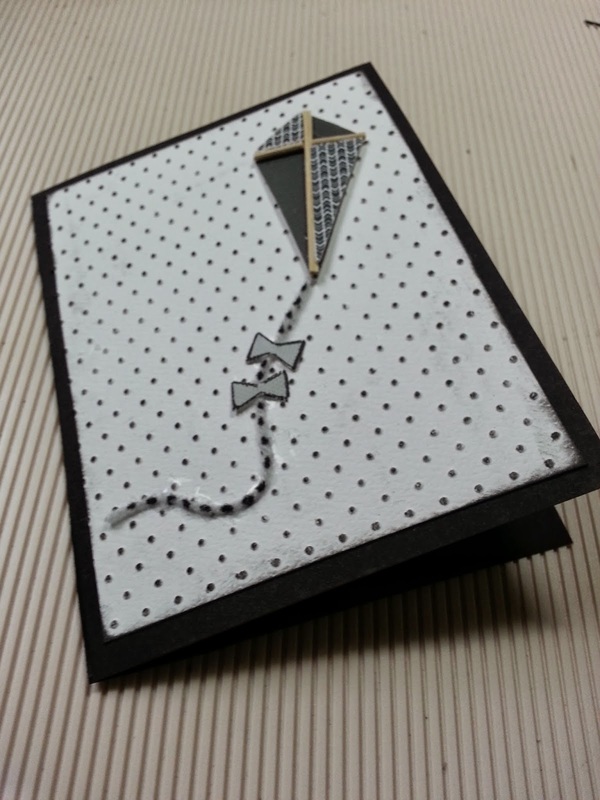 Lastly, I decided to add white dots to the frame of my card front for a finshed look. I'd love to see YOUR take on creating an inspirational card for someone special. I am totally excited about a new opportunity offered me by Frosted Designs and I wanted to share it with you. My six month stint as a designer on the Friday Challenges Design Team actually starts in February, but I am so happy about this 'new job' I thought I would bust wide open if I didn't share the news. (I'll link to the announcement when that happens, so watch for it). What a group of talented crafters I am lucky to be be associated with. 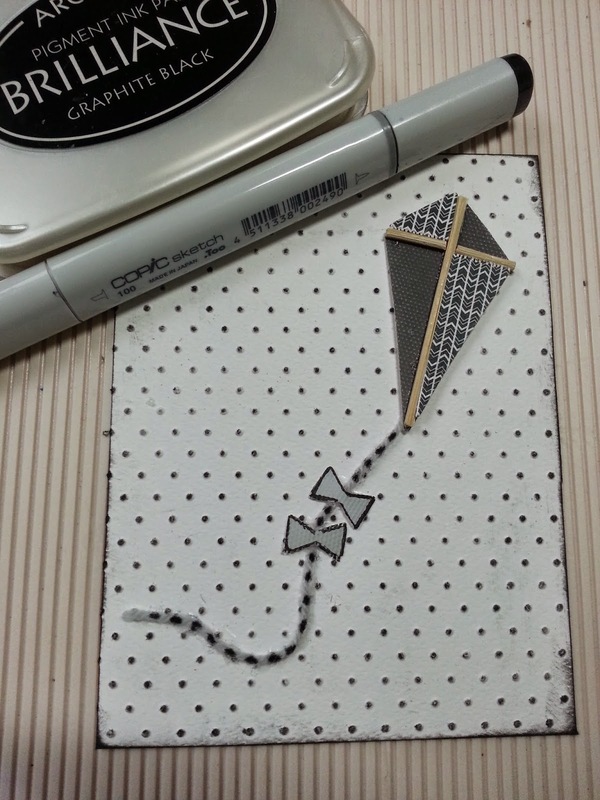 The Frosted Design Blog hosts weekly challenges to give you, the crafters, a chance to learn new techniques, to see what the designers create to help you with new ideas, and to share your creations with others. I have participated in many art and craft challenges online, and through them, I have gained a lot of confidence in my ability as an artist, learned how paints, inks, stamps and papers are used in unique ways, and have met so many new artists and crafters that I feel like I have a home in this community with unparalleled support and encouragement. I feel so blessed to be a part of this team. 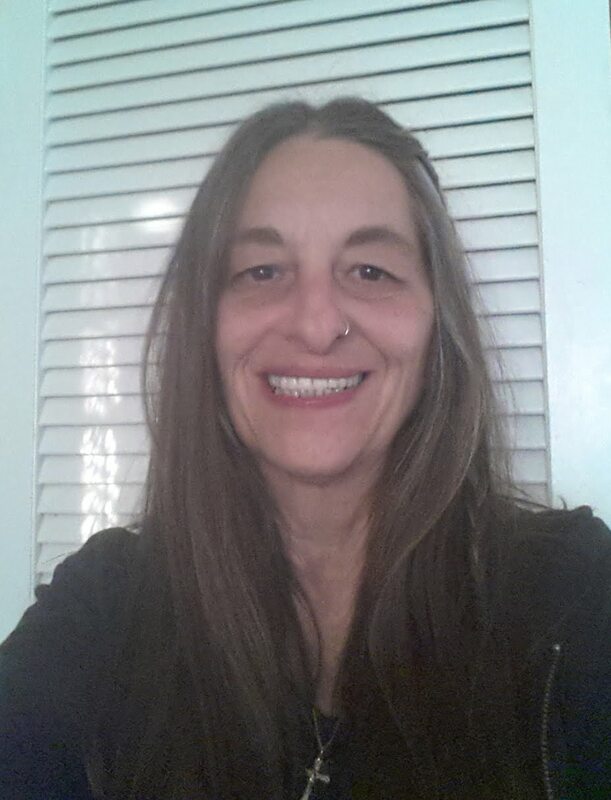 I hope you'll follow me in my journey and watch for challenges I participate in. Please, participate yourself and post your projects. Frosted Designs offers kits just chock full of supplies for creating many projects from each one. They also offer individual items for artists and crafters at great prices, so shop there first for anything you might need. Periodically, I will post the challenges and information on my facebook page and here on my blog (it's part of the job) and I hope you will get involved if you are feeling crafty or feeling like a craft 'wannabe'. Whew... I feel so good letting the cat out of the bag! Thank you, Frosted Designs, for expressing your confidence in me by bringing me on board!